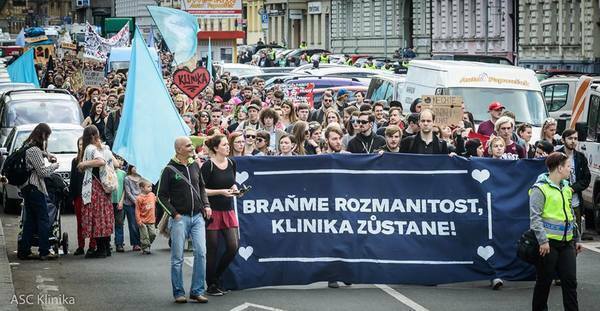 Despite the promising ongoing negotiations about the future of Klinika with SŽDC (the railway administration), the police has decided to evict. In the fall, when the new SŽDC management started to open negotiations, we welcomed this initiative and we came together in a specific way to preserve the social center and to resolve the future of the house to a mutual satisfaction. Nevertheless, the State decided to use violence to kick us out. Evicting Klinika does not make sense because of the ongoing negotiations, SŽDC doesn’t not even want to demolish the building. The eviction would just lead to another empty and decaying house. Previous post: #Montreal: Santa’s Rebel Elves wish you a Merry Anti-Colonial #Christmas!